A brief preview of Group B of the League of Legends Worlds Group Stages. Group A on the surface gives two standout points. On the surface, it seems as though SK Telecom T1 has a free entry to the next stage. This for the most part is true, it would be odd to see SKT not get first in this group in likely the asiest group at worlds. The interesting thing is this second place. Flash Wolves seem primed to take it but it seems as though Cloud 9 always come out there and just does work as a team. The Flash Wolves come from the LMS, ready for anyone in their path. Their main intruiging part of their lineup is in the mid lane. Yi Tang "Maple" Huang is a dominant force in the LMS region. His champion pool is incredibly large, with the ability to match up skill-wise with almost any mid in this tournament. The Flash Wolves are all on the map and are a huge threat to everyone, and hope to be standing next to SKT on top of their group. There's only so much you can say about SKT. Two-time World Champions, SKT can easily take this tournament. 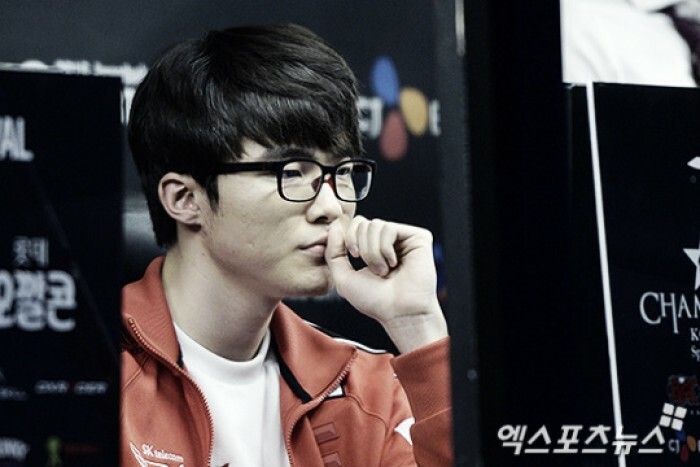 Starting with the best League of Legends player ever, in Sanghyeok "Faker" Lee, SKT is more skilled than everyone, more strategic than everyone, and ahead of the game. Losing their top laner Marin is noticeable at times, though Duke does a fine job, SKT's dominance results from their team play, and through Faker. Team I May came into the LPL after being a sister team to Edward Gaming. They drove through the LPL doing well, and ultimately defeated Team World Elite to make it to Worlds. I May's success is very limited, because the team is incredibly new. This doesn't mean they are a pushover, though, as they have quality players especially in the mid-lane from Kang "Athena" Ha-woon. Athena was recently known for leading ESC Ever over SKT in the 2015 KeSPA Cup. North America's golden child, Cloud 9 comes from the literal bottom-up into Worlds. If you recall, last summer, Cloud 9 fought through the qualifiers to make it into Worlds, and yet again they did it this year. After losing to TSM in the Summer LCS Playoffs, Cloud 9 fought their way through the gauntlet to make it here. Cloud 9 has gone through some changes, as Meteos made his way back into the pro scene better than ever. This team has upset potential and could not surprisingly make it out of groups. If they were to make it out, this would be the group to do so. There likely won't be a splash coming from these groups, though it will be exciting. Flash Wolves and SKT are always fun to watch and I May and Cloud 9 bring a great twist of a story to the table.